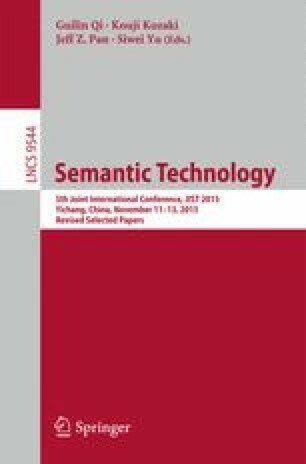 We present a question answering system over DBpedia, filling the gap between user information needs expressed in natural language and a structured query interface expressed in SPARQL over the underlying knowledge base (KB). Given the KB, our goal is to comprehend a natural language query and provide corresponding accurate answers. Focusing on solving the non-aggregation questions, in this paper, we construct a subgraph of the knowledge base from the detected entities and propose a graph traversal method to solve both the semantic item mapping problem and the disambiguation problem in a joint way. Compared with existing work, we simplify the process of query intention understanding and pay more attention to the answer path ranking. We evaluate our method on a non-aggregation question dataset and further on a complete dataset. Experimental results show that our method achieves best performance compared with several state-of-the-art systems. This work was partially supported by the National Science Foundation of China (project No: 61402173) and the Fundamental Research Funds for the Central Universities (Grant No: 22A201514045).